The elegant and cool appearance can perfectly be combined with colorful home accessories such as vases and candles. 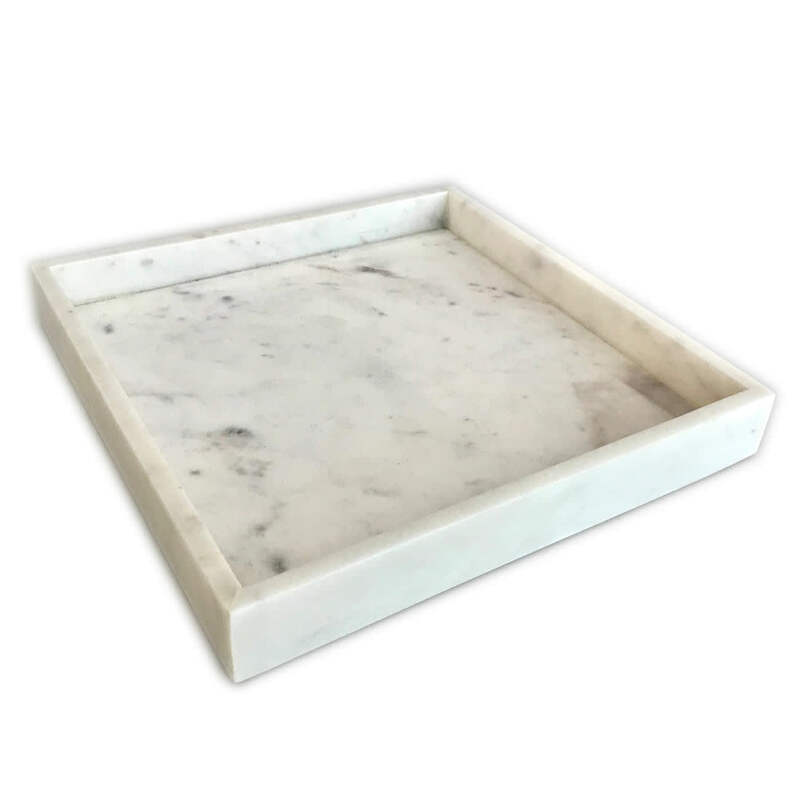 The combination of marble and the trendy industrial style, which the designer has incorporated into the candle holders, turns this tray into an eye-catcher in everyone's home. desiary.de fine living in Cologne, Germany.